Welcome to the HOLO Books website. HOLO Books was set up on 5th November 1999 by the wife and husband team Susanna Hoe and Derek Roebuck - established writers in their fields. HOLO Books two imprints - The Women's History Press and The Arbitration Press - reflect the founders' determination to publish scholarly books accessible to the general reader which may not appear commercial to mainstream publishers. 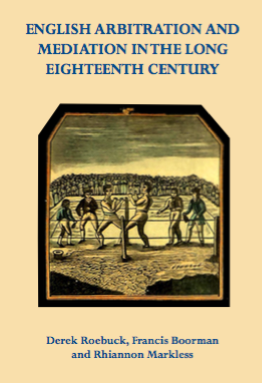 English Arbitration and Mediation in the Long Eighteenth Century (Derek Roebuck, Francis Boorman and Rhiannon Markless, November 2019). Sardinia: Women, History, Books and Places (Susanna Hoe, 2020). This is 5th in the series 'Of Islands and Women'. Arbitration and Mediation in Seventeenth Century England (Derek Roebuck, 22 January 2017). This is the 8th in the history of Arbitration and Mediation. Women in Disputes: A History of European Women in Mediation and Arbitration (Susanna Hoe and Derek Roebuck, May 2018). The Golden Age of Arbitration: Dispute Resolution Under Elizabeth I (Derek Roebuck). This is 7th in the history of mediation and arbitration. Travels in Tandem: The Writing of Women and Men Who Travelled Together (Susanna Hoe, 26 April 2012), available also on Kindle through Amazon (ISBN 9780954405687) and as an e-book (ISBN 9780954405649). Some older titles are becoming available as Kindle books At Home in Paradise: A House and Garden in Papua New Guinea (Susanna Hoe, 2003, Kindle 2012 ISBN 9780954405656) celebrates the 30th of our arrival in Papua New Guinea in June 1982. The Kindle edition of a sequel, More at Home in Paradise: Domestic Dramas in Papua New Guinea, is in preparation. HOLO Books is likely to remain very small to take account of the partners' writing commitments. The Arbitration Press' primary concern is to provide historical and comparative insights into how disputes are resolved.